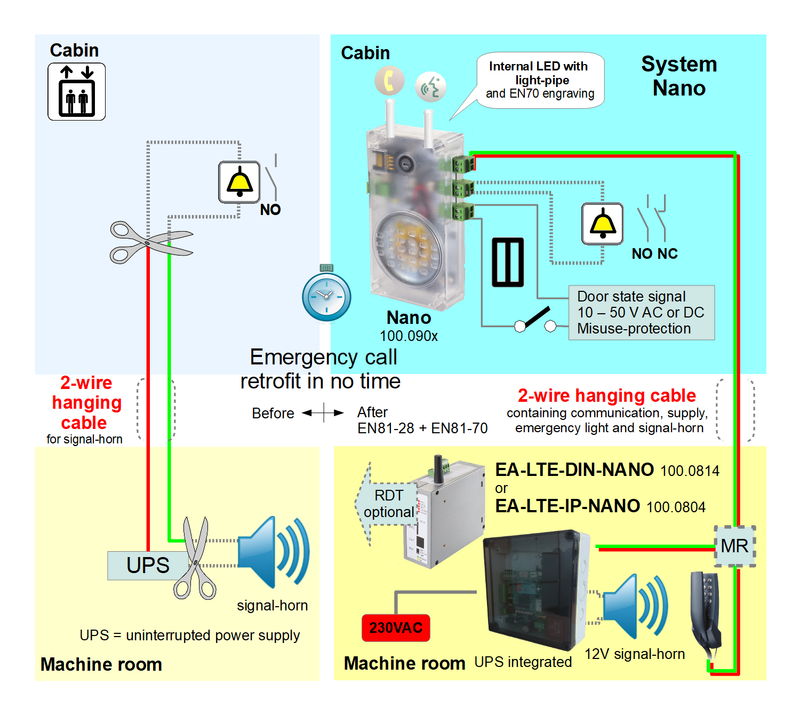 With only two wires, the unit Nano will be connected to EA-UMTS/GSM-Interface 100.08x4 enabling communication, supply of status lights and the emergency light. 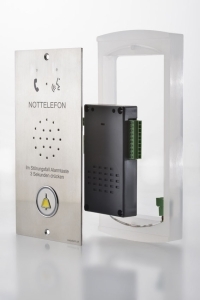 Nano is compliant tp EN81-28 and EN81-70 and provides local connectivity options such as the "emergency call button input" or "Alarm horn output." If during the pre-alarm (= max. cabin travel time) a change in signal is detected, the call will be terminated. 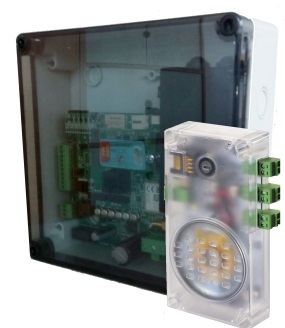 The emergency light is activated when the supply on the EA-UMTS/GSM-Interface or the system-contact "ready" is lost. e.g. for connecting an additional cummincation-unit in or on top of the cabin. 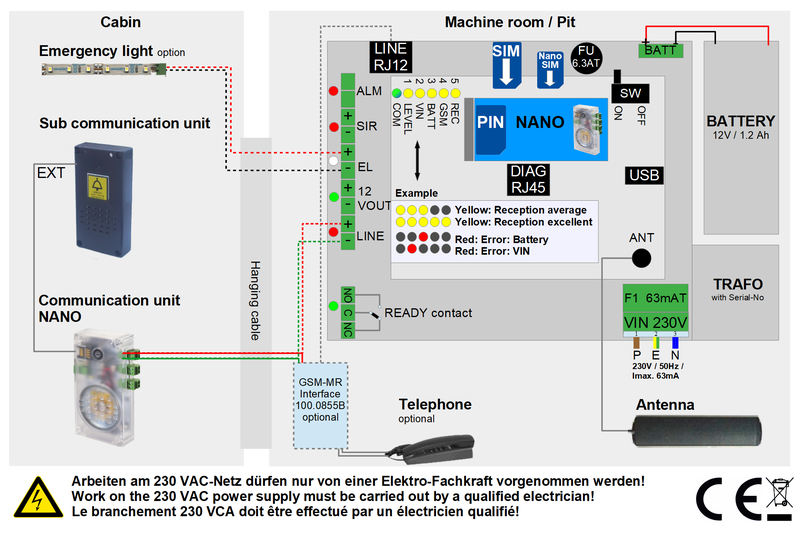 Another plus: The new system Nano is easy to program via SMS (eg, via call-center solution WinMOS®300). Alarm numbers, identification, max. travel time can be transmitted via SMS or queried.